Hitting the gym can feel like a slog. You’re alone in the privacy of your music blasting through your earbuds. You casually glance around the room — randomly picking workouts with no idea how they’re helping you reach your goals. Sound familiar? There’s another way. Feeling like a number? No way. 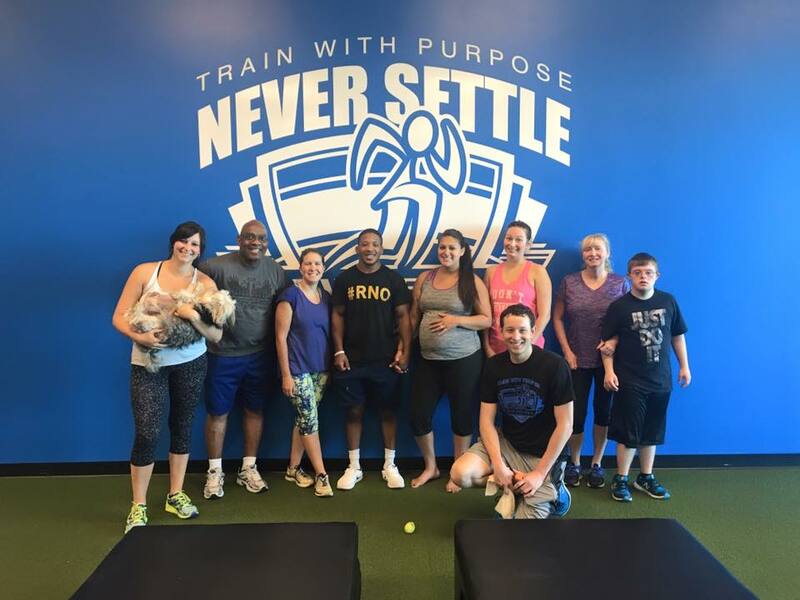 Our goal is to give you the experience of a personal trainer in a group setting. We keep classes small and design the layout of the room so that everyone has the attention they need. We believe that a good gym and a good school have something in common: a great student to teacher ratio. Enter the gym ready to conquer a strategic and well-planned challenge. Give high fives to your fellow fitness-seekers. Cheer each other on as your trainer guides your group through an invigorating and testing workout. Walk away empowered and energized. This is the experience that awaits you when you join Never Settle Team Training classes. We’ll warm up for 10-15 minutes to get ready for the workout ahead. Next, we’ll take you through 30 minutes of circuit training, with a combination of strength and cardio movements. Now that we’ve labored, we’ll rest and recover with 15 minutes of cooling down and stretching. The best part? It costs less than $9 per session when you join us twice per week. Already getting personal training or thinking of adding it? Members enjoy half off the above prices. Sounds simple, right? So, what are you waiting for? Fill out the form to get started on your Team Training regimen and get your first class FREE. Thank you! Someone from our team will follow up with you by email shortly.